Hosta encyclopedia, catalog. 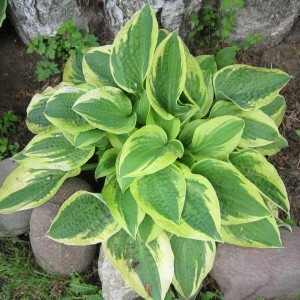 Types and varieties of hostas. Growing, planting hostas. How to grow hostas, where to plant hostas. Hosta is a sort of perennial grassy plants from the family of Asparagaceae, "christened" in honor of Nikolaus Thomas Khosta (1761 — 1834) at his life (in the 1812th). It was the Austrian botanist, the personal doctor of the emperor Franz I, and the most important — the colleague of "baptist", other Austrian botanist Leopold Trattinnik (1764 — 1849). The described sort is a representative ot the family of Liliaceae, and till 1905 within almost century called Funkiya (Funkia) because the German druggist, the druggist and botanist Heinrich Christian Funk (1771 — 1839), who was engaged in systematization and was familiar with the "correct" people.